Today the European Commission adopted a strategic long-term vision for a prosperous, modern, competitive and climate neutral economy by 2050 – A Clean Planet for all. The strategy shows how Europe can lead the way to climate neutrality by investing into realistic technological solutions, empowering citizens, and aligning action in key areas such as industrial policy, finance, or research – while ensuring social fairness for a just transition. Following the invitation by the European Council in March 2018, the Commission’s vision for a climate-neutral future covers nearly all EU policies and is in line with the Paris Agreement objective to keep temperature increase to well below 2°C, and pursue efforts to keep it to 1.5°C. For the EU to lead the world towards climate neutralitymeans achieving it by 2050. The purpose of this long-term strategy is not to set targets, but to create a vision and sense of direction, plan for it, and inspire as well as enable stakeholders, researchers, entrepreneurs and citizens alike to develop new and innovative industries, businesses and associated jobs. We have a strong mandate from our citizens: according to the latest special Eurobarometer (November 2018) 93% of Europeansbelieve climate change to be caused by human activity and 85% agree thatfighting climate change and using energy more efficiently can create economic growth and jobs in Europe. With the vision we are presenting today, the EU can inform others how we can deliver collectively a clean planet and show that transforming our economy is possible and beneficial. The long-term strategy looks into the portfolio of options available for Member States, business and citizens, and how these can contribute to the modernisation of our economy and improve the quality of life of Europeans. It seeks to ensure that this transition is socially fair and enhances the competitiveness of EU economy and industry on global markets, securing high quality jobs and sustainable growth in Europe, while also helping address other environmental challenges, such as air quality or biodiversity loss. The road to a climate neutral economy would require joint action in seven strategic areas: energy efficiency; deployment of renewables; clean, safe and connected mobility; competitive industry and circular economy; infrastructure and interconnections; bio-economy and natural carbon sinks; carbon capture and storage to address remaining emissions. Pursuing all these strategic priorities would contribute to making our vision a reality. The long-term strategy is an invitation to all EU institutions, the national parliaments, business sector, non-governmental organisations, cities and communities, as well as citizens – and especially the youth, to participate in ensuring the EU can continue to show leadership and hold other international partners to do the same. This EU-wide informed debate should allow the EU to adopt and submit an ambitious strategy by early 2020 to the UNFCCC as requested under the Paris Agreement. Member States will submit to the European Commission, by the end of 2018, their draft National Climate and Energy Plans, which are central for the achievement of the 2030 climate and energy targets and which should be forward-looking and take into account in the EU long term strategy. In addition, an increasing number of regions, municipalities and business associations are drawing up their own vision for 2050 which will enrich the debate and contribute to defining Europe’s answer to the global challenge of climate change. Internationally, over the coming year the EU should expand its cooperation closely with its international partners, so that all parties to the Paris Agreement develop and submit a long-term national mid-century strategy by 2020 in the light of the recent IPCC Special report on 1.5? Celsius. Today the high level panel of independent experts on decarbonisation pathways – an advisory body to CommissionerMoedas- has published a report on the role of research and innovation in achieving the objectives of the Paris Agreement while putting the EU at a competitive advantage in the decarbonisation race. The report underpins the vision as presented in today’s communication. Why is the Commission presenting a long-term strategy to reduce greenhouse gas emissions? The 2015 Paris Agreement under the United Nations Framework Convention on Climate Change (UNFCCC) sets the goal to contain the rise in average global temperatures to well below 2°C above pre-industrial levels and to pursue efforts to limit it to 1.5°C. All Parties to the Paris Agreement are invited to submit mid-century strategies by 2020. To prepare for this transformation, the European Parliament and the European Council invited the Commission to come forward with a long-term strategy on the reduction of greenhouse gas emissions for the European Union, in accordance with the Paris Agreement. The strategy confirms Europe’s commitment to lead in global climate action through a socially-fair transition and provides a first indication of the direction of travel to frame what the EU could consider as its long-term contribution to achieving the Paris Agreement temperature objectives. Presenting this vision will allow for a thorough debate involving European decision-makers, stakeholders and citizens at large to consider how the EU can make a fair contribution to meeting the long-term temperature goals of the Paris Agreement and how this transformation can be achieved. This informed debate should allow the EU to adopt and submit an ambitious strategy by 2020 to the UNFCCC as well as set the direction of the EU’s future climate and energy policy. How does the long-term strategy relate to current European climate, energy and transport policy and legislation? The strategy is not a legislative proposal, but a strategic vision, supported by a detailed analysis, on how the EU can deliver on the Paris Agreement while enhancing the co-benefits of emission reductions and transforming its economy for the 21st century. The vision presented today does not propose to change the 2030 climate and energy targets but will enable the EU to build on them and develop in due time policies towards 2050. The Strategy also clearly underlines that a transition towards climate neutrality cannot happen without the mobilisation of important growth-enhancing and supporting policies, such as competition, labour market, skills development, regional cohesion, taxation and other structural policies. Which pathways were considered by the Commission to reduce greenhouse gas emissions? The Commission looked into pathways to reduce greenhouse gas emissions that are consistent with the current scientific understanding on how to limit global warming to a temperature rise of well below 2°C and 1.5°C, as compiled by the Intergovernmental Panel on Climate Change (IPCC). The Commission assessed pathways for the EU that achieve greenhouse gas emissions reductions between -80% by 2050 (compared to 1990) up to net zero greenhouse emissions by 2050 – all of them are in line with the Paris Agreement. 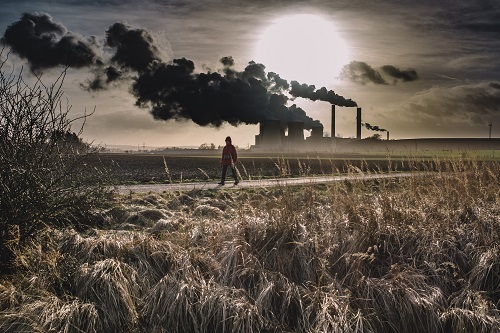 The Commission’s analysis is informed by a detailed modelling of pathways across all sectors of the economy, and including all greenhouse gases. These pathways are “what if-scenarios”: they study what would happen with a given combination of technologies and actions. These pathways, therefore, are not predictions about the future. Rather, they are plausible options to achieve a climate neutral Europe. The work also benefited from the existing research literature and an open public consultation that received more than 2800 responses and more than 100 position papers. How will the different economic sectors play a role in the climate neutral transition? All sectors of the economy will have their role to play in the transition towards climate neutrality. Today, the major part of our energy system, which accounts for more than 75% of the EU’s greenhouse gas emissions, is based on fossil fuels. All pathways assessed imply that by mid-century this will change radically. The deployment of renewable energy will drive a large-scale electrification of the energy system, be it at the level of end-users – such as energy use in industry, buildings or transport – or to produce carbon-free fuels and feedstock for industry. The power sector will thus become a central element for the transformation of other economic sectors. All pathways converge on one central element: power generation should be fully decarbonised by 2050. More than 80% of the EU’s electricity would be produced by renewable energy sources. Most industrial greenhouse gas emissions stem from heating purposes, be it for steam and hot water or high temperature applications. These emissions can be reduced through further efficiency improvements and by switching to low and zero carbon energy sources such as renewables-based electrification, sustainable biomass, synthetic fuels or hydrogen. Around a quarter of industrial emissions consists of process-related emissions (i.e., emissions from chemical reactions other than combustion), which are more difficult to reduce. Cutting these emissions will require genuine process innovation or the application of carbon capture and storage. Innovative industries can also improve their resource efficiency and reduce greenhouse gas emissions by improving re-use and recycling through circular economy approaches and sector coupling. Significant innovation efforts are needed in the next ten years to deploy the economically competitive technologies needed to contribute to a low-carbon and circular industrial transformation. The transport sector currently relies largely on fossil fuels. Achieving deep emissions reductions will require an integrated system approach. This includes promoting (i) overall vehicle efficiency, low- and zero emission vehicles and infrastructure; (ii) a long-term switch to alternative and net-zero carbon fuels for transport; (iii) increased efficiency of the transport system – by making the most of digital technologies and smart pricing and further encouraging multi-modal integration and shifts towards more sustainable transport modes. There is no single fuel solution for the future of low-carbon mobility – all main alternative fuel options will be needed, but different options are more suitable for different transport modes. Changes in behaviour and consumer choice to shift from private transportation to low-carbon public transport, shared mobility and zero-carbon mobility (biking, walking) are also key. Rethinking mobility will deliver tangible benefits, including clean air, reduced noise, and more liveable urban spaces, generating major benefits for citizens’ health and quality of life and the European economy. Agriculture will have to continue to provide food, feed and fibre to the EU society and economy, while contributing to efforts to reduce greenhouse gas emissions. Agriculture is the EU’s largest source of non-CO2 greenhouse gas emissions, which are challenging to reduce. As overall greenhouse gas emissions continue to decrease, agriculture is likely to account for a relatively large share of the remaining emissions. However, emissions from agriculture can be reduced through a range of practices and technologies such as improved livestock, fertiliser and manure management. Agricultural practice also influences the carbon stored in our soil. Furthermore, it has an important role to play in producing sustainable biomass for use in the bio-economy and the energy sector. Buildings, combining the residential and services sectors, currently represent the largest share of final energy consumption in the EU – about 40% of the total in 2015. Better building insulation and other measures to improve the housing stock on a much higher scale than today will help reduce energy use for heating. This will play a key role in decarbonisation. More efficient products and appliances, deployment of “smart” buildings/appliances management systems and consumer behaviour will help to further moderate energy demand. As to the remaining energy needs, fuel switching will need to happen with almost all homes using renewable heating (electricity, district heating (produced from renewable sources), renewable gas and solar thermal). Importantly, biogas, hydrogen (up to some proportion) or e-methane produced from renewable electricity are renewable gaseous fuels that could all play a role in existing buildings without changing the current transmission/distribution grid and type of appliances. 80% of the 2050 buildings’ stock exists today. An integrated approach and consistency across all relevant policies will be necessary for the modernisation of the built environment and mobilisation of all actors. This is a condition sine qua non to engage citizens and businesses in the necessary renovation activities. What are the respective roles of technology and consumer choice in the pathways to reduce greenhouse gas emissions? The Commission has studied eight different pathways. They all include a wide range of technological and organisational options to reduce emissions. Some pathways focus on specific technologies or options, others focus more on demand-side measures, such as promoting energy efficiency or circular economy. Still there will always be some emissions remaining, for instance from agriculture. To achieve net zero greenhouse gas emissions these need to be compensated by increased absorptions in our natural sink (e.g. afforestation or improved soil management) or by deploying negative emission technologies (e.g. the use of bioenergy combined with carbon capture and storage), technologies that are still under development. The degree of reliance on such technological options will also depend on other options that could be considered: that is why one pathway achieves net zero greenhouse gas emissions with a strong focus on zero carbon fuels as well as the deployment of negative emission technologies. Another pathway achieves net zero greenhouse gas emissions by relying less on these technologies but more on a combination of circular economy approaches, increased actions to enhance the uptake of CO2 through land use and forestry and further reflecting recent trends regarding consumers’ behaviour and lifestyles. What are the potential synergies between the low-carbon, circular and digital economy transition? Why do we need an integrated approach? The Commission’s vision centres on a European economy that is dynamic, vibrant, and low on greenhouse gas emissions. For this transition, innovation from the digital economy is vital to bring about benefits to competitiveness and decarbonisation. The Commission’s vision analyses, for instance, the use of digitalisation in the transport sector and in power generation. Circular economy aspects are of particular importance for both industry and consumers, as well as for reducing non-CO2 greenhouse gas emissions from waste. Smarter farming will benefit from increased digitalisation. An essential element in that respect is to promote sector coupling, that is, where solutions can be optimised across and not only within sectors. The combined analysis of these transitions allows the Commission to propose a consistent vision for a competitive Europe in the 21st century. What is the role of biodiversity and ecosystem services for climate mitigation and adaptation in the strategy? Terrestrial and marine ecosystems are an essential asset for mitigating climate change. At global level, these natural “carbon sinks” absorb 50% of anthropogenic greenhouse gas emissions, including in particular through the oceans. The remainder is stored in the atmosphere, increasing greenhouse gas concentrations and causing climate change. Maintaining and further increasing the natural sink of forests, agricultural lands and wetlands in the EU is important. It also helps to compensate any remaining greenhouse gas emissions that cannot be avoided. In this context, preserving and restoring ecosystems and nature-based solutions have a key role to play and provide multiple benefits for mitigating climate change and adapting to its consequences. They provide a set of services that protect us from the effects of climate change, such as water retention, flood control, air quality improvements and protection against desertification and combat the heat island effect in cities while contributing to climate change mitigation. How can research and innovation accelerate the different pathways towards climate neutrality? A range of existing and novel technologies will be necessary for reaching climate neutrality. These technologies are at different levels of development and deployment. A massive research and innovation effort, built around a coherent strategic research and innovation and investment agenda is needed in the EU within the next two decades to make low and zero-carbon solutions economically viable. Investments are needed in fundamental research (better understanding, new concepts), applied research (bringing concepts from the lab to building prototypes), industrial innovation and deployment (continuously improving technologies and their usage) and socio-economic research and social innovation needed to engage citizens and consumers in the transition to a climate neutral economy. Research, innovation and education form an ecosystem, working together to create sustainable wealth, jobs, growth and social progress. Europe plays an active role in the global research landscape and European businesses make significant investments in research and development, spurring product, process, organisational and marketing innovation. The EU will encourage developing a strong industrial basis in Europe in support of clean energy transition and support European industry in becoming the global leader in sustainable and resource-efficient business models, products and services that could then become the paradigm across the world. This leadership would provide a competitive advantage, allowing Europe to export not only sustainable products but also sustainable technology and business models. 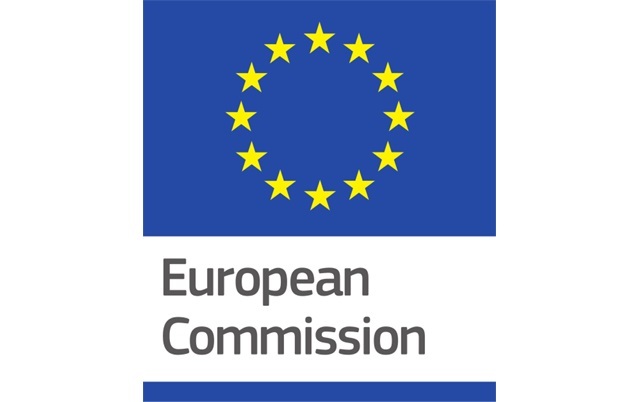 The EU supports research and innovation for example through major research funding of Horizon Europe (EUR 100 billion proposed for 2021-2027), the Innovation Fund (under the EU Emissions Trading System), the planned InvestEU fund (2021-2027), the Strategic Energy Technology Plan (a government-industry research platform) and through a proposed EUR 41 billion Smart Specialisation Strategy within the European Regional Development Fund programme (2021-2027). Furthermore, the proposed Horizon Europe includes a EUR 15 billion worth cluster for Energy, Climate and Transport aimed at boosting key technologies and solutions that underpin EU policies in this field. It also includes EUR 10 billion for food and natural resources, including the bio-economy. More efficient food systems, in particular those that reduce food waste, and new bio-economy approaches that turn waste into value and replace fossil fuels through renewable biological resources, can significantly contribute to climate mitigation as highlighted in the updated Bio-economy Strategy and its Action Plan. How much will Europe need to invest to complete the necessary transition? What is the EU doing to finance such a transition? Today, around 2% of the EU’s GDP is invested annually in our energy system and related infrastructure. This would have to rise to 2.8% (or around EUR 520-575 billion annually, excluding investments related to the vehicle stock) in order to contribute to a net zero greenhouse gas economy. This is a significant amount, even for a developed economy as the EU but such additional investment can pay off via, for instance, lower energy bills or increased competitiveness. Overall, the transition is projected to stimulate growth and jobs, with beneficial GDP impacts up to 2% by 2050. The European Fund for Strategic Investments (EFSI), launched in 2015, is unlocking additional investment of at least EUR 315 billion over 3 years, providing a guarantee of EUR 21 billion for business and infrastructure projects. EFSI was extended and now aims to mobilise EUR 500 billion of investment in strategic infrastructure and companies. A large proportion of such investments contribute to a low-carbon resource efficient economy. The InvestEU programme brings together a multitude of EU financial instruments to further boost investment, innovation and job creation. The programme is built on the success of (and on lessons learnt from) EFSI. The size of the proposed InvestEU guarantee is EUR 38 billion which is expected to generate EUR 650 billion investments. At least 30% of such funds should contribute to climate action. The Commission’s Action Plan on Financing Sustainable Growth aims to further connect finance with the needs of the European and global economy for the benefit of the planet and our society. The plan has three objectives: (i) re-orient capital flows towards green investment; (ii) manage financial risks stemming from climate change, natural disasters, environmental degradation and social issues; and (iii) foster transparency and long-termism in financial and economic activity. The EU is spending about 20% (over EUR 206 billion) of its overall budget in 2014-2020 to climate change-related action. The Commission proposed to raise this share to 25% for the period 2021-2027. How will the strategy affect workers in carbon-intensive sectors/regions? What are the jobs that a low-carbon economy is expected to create? The transition to a climate neutral economy drives modernisation of the economy and society in Europe. While overall it is expected to have a positive impact on employment, some sectors will see job losses, such as coal mining and fossil fuel extraction. Other sectors will see a shift in how they produce goods, requiring reskilling and upskilling of the workforce. This will affect some regions more than others, in particular where extractive industries and energy-intensive manufacturing represent a relatively high share of total employment. Such a transition will need to be carefully managed, ensuring equity and social fairness from the outset. .We must avoid any sector or region becoming blighted by unemployment. Nobody should be left behind – this must be a socially fair transition based on EU solidarity. To address this, both the EU and its Member States must take into account the social implications of this transformation from the outset and deploy all relevant policies to the fullest to mitigate this challenge. The EU budget already has a considerable focus on employment and cohesion policies, with the aim to reduce social and territorial disparities. For the next long-term EU budget, the Commission has proposed to further strengthen the Union’s social dimension with a European Social Fund Plus (ESF+), worth EUR 101.2 billion. A more effective European Globalisation Adjustment Fund (EGF), with a total budget of EUR 1.6 billion, will be able to support also workers who were unexpectedly dismissed due to the transition to a low-carbon economy. The Coal and Carbon-Intensive Regions in Transition Initiative is specifically focussed on helping regions with coalmining with this transition. Skills development will be important for keeping our economy competitive and ensuring full participation in the economy and society. It is essential to address the changes that will occur on the job market due to the low carbon transition but also to address other ongoing transformations such as increased digitalisation. For instance in the European renewable energy sector, the most wanted job profiles are technicians engineers and researchers. New jobs will emerge in all parts of the value chain, from the manufacturing of renewables equipment, to project development and actual production and operation of renewable energy. This transition will also considerably change the task profiles of architects, construction workers, electro-engineering workers, drivers and vehicle operators, farmworkers and gardeners, machine and plant operators, other manufacturing workers, handicraft and printing workers, and production and specialised services managers. What would be the implications of the low-carbon transition on urban and rural spaces and the built environment? With around 75% of EU population living in urban areas, cities and their inhabitants have a crucial role to play in reducing greenhouse gas emissions and adapting to the unavoidable impacts of climate change. Low-carbon urban mobility will improve the quality of life in urban environments in particular by reducing air pollution and noise. City planning, local public transport, safe cycling and walking paths, new delivery technologies, “mobility as a service” such as car and bike sharing services, and alternative working schemes such as teleworking will all alter the ways in which people and goods move from one place to another. Rural areas, faced with growing and changing demand in agricultural and forestry products, will need to maintain a sufficiently skilled workforce to meet these challenges, while being confronted with a decreasing rural population. Agriculture will need to contribute with fibre for the bio-economy and biomass for the production of bioenergy, which would impact land use and diversify agricultural production. Moving towards smart and energy efficient buildings (in terms of appliances or heating and cooling system needs) will also contribute to empower citizens, increase their quality of life and reduce their energy bills. To achieve and sustain higher buildings’ renovation rates, adequate financial instruments to overcome existing market failures, sufficient workforce with the right skills and affordability for all citizens are of central importance. Consumer engagement, including through consumer associations, will be a key element in this process. What can the EU do to assist our society and economy to make this transformation happen? The EU will continue to ensure that its energy and climate policies but also its research and innovation, investment, industrial policy and social cohesion policies steadily steer towards the decarbonised future. The Commission has also “mainstreamed” climate action, including clean energy transition, in its funding programmes and aligns all other policy areas to support the transformation. However, more can be done in the areas of employment, education and health to support citizens in this process. In research and development, EU programmes (as mentioned in question 8) must support the drive in zero-carbon technology innovation. In stimulating change in the finance industry, the Commission’s Action Plan on Financing Sustainable Growth will create the framework necessary to support a movement towards green investment, first in the EU but also globally. Socially, to ensure a fair and inclusive transition, the EU will continue to provide support for the development of new opportunities in regions and communities affected by these transformational challenges. The risk of energy poverty is and will remain an essential challenge to be addressed. The social consequences of the transition cannot be addressed post factum. Social issues are generally better addressed through the social policy and welfare systems, the financing of which could benefit from tax shifts and revenue recycling. The transition will also require much stronger awareness, empowerment and encouragement of citizens and consumers. Citizens are increasingly concerned about climate change and its consequences, but they need to be equipped to take informed decisions on the impacts of their mobility and consumption choices, how they travel, how they produce and consume energy and how they build and renovate their houses. Better labelling and information on their environmental footprint can help. Socially fair environmental taxation and carbon pricing systems should also play an important role in steering this transition. Moving towards a net zero greenhouse gas economy can only be successful when citizens embrace change and experience it as beneficial for their lives and those of their children. What are the positive impacts of the low greenhouse transformation for the citizens and the economy in terms of non-climate co-benefits (air pollution, resource efficiency, energy security, etc)? The transformation towards a climate neutral economy is not all about future climate change. It is also about us and our daily lives, about the way we work, use transport and live together. Ambitious climate action improves air quality and helps protect biodiversity. Furthermore, Europeans could benefit from a more innovative, dynamic, competitive and inclusive economy. The EU will also significantly reduce its fossil fuel dependency, making our economy less vulnerable to energy crises. Climate-conscious choices and healthier lifestyles often go in par. The European Commission (EC) is an institution of the European Union, responsible for proposing legislation, implementing decisions, upholding the EU treaties and managing the day-to-day business of the EU. Commissioners swear an oath at the European Court of Justice in Luxembourg, pledging to respect the treaties and to be completely independent in carrying out their duties during their mandate.